It is important to understand the types of materials that are accepted at your local landfill or waste management facility. This will save you and your company time, resources and headaches. 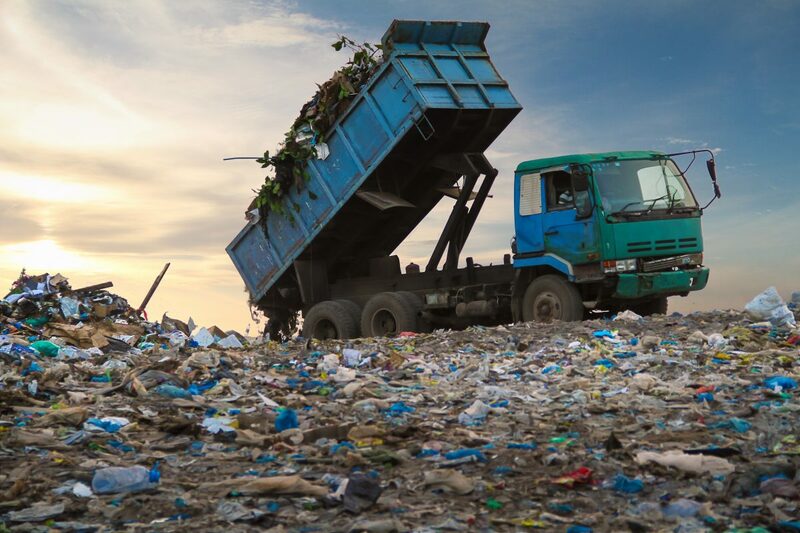 There are usually very specific requirements as to what a landfill facility may or may not accept, as well as how the materials should be segregated prior to delivery. For instance, most municipal solid waste facilities (or landfills) will not allow Sheetrock to be mixed in with solid waste. In fact, Sheetrock waste is usually delivered to a construction and demolition landfill (commonly known as C&D facilities). Any business or construction company that produces a large amount of waste should become proficient in the differing types of waste materials—as well as the corresponding landfill facilities which accept the waste. Having a front-load or roll-off dumpster is the first step. Understanding what may be placed into them is the second. How Did Waste Management Become So Specialized? Getting rid of waste has been a problem for humans since the beginning of time. But the evolution of towns, cities and metropolises have made the issue even more complicated. In ancient times, humans just tossed their waste out a window or left it in an alley. The more advanced societies transported their waste to just outside the city wall where it was left to decompose. Some even threw their waste into the local rivers and waterways. However, as more and more humans lived and worked in closer proximity to each other, pollution problems increased… most notably groundwater, soil and air pollution. The odor within some cities would be unbearable. The next advancement was to simply take every waste item imaginable to one big “dump” someplace far away. These huge dumps were a common site around the country… and North Carolina was no exception. Anyone driving past one on a warm summer day with the window down could smell the putrid air emanating from these dumps. But it was not only the smell… The increased use and disposal of toxic materials including rubber tires, car batteries and computer parts all posed different toxic pollution problems. These discarded items were an even greater threat to the groundwater and adjacent soil. Eventually, federal, local and state regulators understood that waste in the modern world would need to be specialized, regulated and monitored. Specific waste management facilities were created and designated to accept different materials. And today instead of the all-encompassing dump, we have landfills. Landfills are the next-generation solution for waste management. The primary objective of a landfill is to protect the surrounding environment. Similar to a dump, a landfill in constructed to collect and store all different types of waste. In general, a very large hole is made in the ground and the base is lined with a composite liner. This layer is intended to prevent the migration of toxins from the waste into the surrounding soil, adjacent rivers or underground aquifers. Many of the composite layers of landfills are made of clay. Thereafter, waste material is dumped into the landfill and compressed down on a regular basis. A layer of soil is then deposited on top of the waste material and compressed. The process is repeated to increase the amount of waste that can be deposited. In addition to the layers, a landfill may have a couple types of drainage systems. These can be for rainwater, leachate (or water that flows through the landfill which contains toxic substances) and/or a methane collection system. Finally, when the landfill reaches capacity, it may be covered with a seal or cap. The most commonly known types of landfills are C&D and municipal solid waste. There are also hazardous waste landfills. Municipal solid waste landfills generally accept household waste. However, some do not accept yard waste. No matter what type, all landfills are regulated by federal, state or local municipalities. Therefore it is good practice to check with your local waste management facility for specific details about their policies. Or you can speak with someone at a reputable waste management company. Again, understanding what is acceptable to deposit in a landfill can save you both time and money. Having a front-end or roll-off dumpster is just the first step. Understanding what types of materials can be collected and grouped together will ensure that your waste management needs are properly taken care of.